Get Involved in Your Community. . . 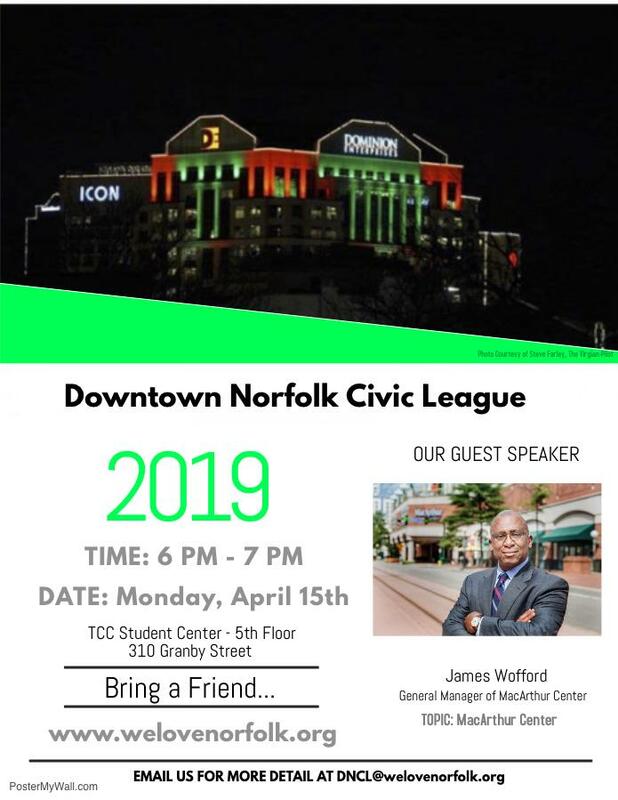 Downtown Norfolk Civic League. DNCL Mission Statement: To be a collective voice of the residents, dedicated to the quality of life issues unique to Downtown Norfolk.